This article was written on 20 May 2014, and is filled under Arts, Politics. Kickstarter CEO Yancey Strickler has broken his silence about the Gosnell-film censorship controversy in an interview with National Review. Strickler says that Kickstarter did not censor the project by Ann & Phelim Media and that the filmmakers voluntarily removed the wording “pledge because of 1000s of babies stabbed to death” after Kickstarter asked them to remove it. Kickstarter also asked the media company to remove the claim that their project was the biggest financial ask for a film in Kickstarter’s history, because other projects have asked for more than $2.1 million, Strickler says. We ask that the phrase “1000s of babies stabbed to death’ and similar language be modified or removed from the project. . . . We understand your convictions and the horror of this person’s crimes, however we are a broad website used by millions of people. Our Community Guidelines outline that we encourage and enforce a culture of respect and consideration, and we ask that that language specifically be modified for those reasons. Phelim recently published an op-ed in the New York Post about Kickstarter’s censoring his project. Yancey responded by saying the project was not suppressed and the filmmakers blew an editorial exchange out of proportion. 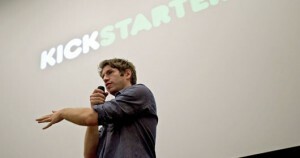 Strickler: Kickstarter is a community of people dedicated to helping new ideas come to life. It’s a way for people to work together to make movies, restaurants, comic books, games, and innovative technology a reality. The 150,000 projects that have launched on Kickstarter encompass pretty much every ideology imaginable. Josh: Ann & Phelim Media say Kickstarter tried to censor and remove words from their campaign description. 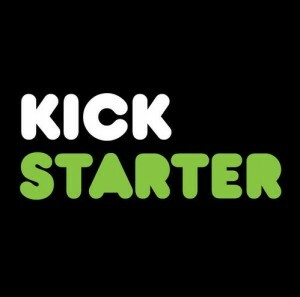 What was Kickstarter’s problem with their project? Strickler: Our team reviews every project submission. It’s not uncommon for us to provide feedback or recommend copyedits to project submissions. We’ll recommend copyedits when we see errors of fact or copy that steps beyond our community guidelines. In this case we recommended the filmmakers copyedit both a factual error and a phrase that evoked an incredibly graphic image that felt too strong for a general audience. Josh: When you told the filmmakers your copyediting policy, how did they respond? Strickler: The creators replied with a spirited defense of the graphic depiction they wanted to include. We decided to bend our rules and give them the green light to launch at their convenience. They chose to make two of the copyedits we recommended. They launched elsewhere. And then they proceeded to claim that the copyedits we recommended and they adopted were tantamount to censorship. We wish them the best of luck. But trying to make this about something it’s not, stoking a make-believe fire to incite publicity, and imagining Kickstarter as a partisan battlefield is wrong. We exist to support creators and creativity, not a political ideology. Josh: Does Kickstarter only allow political projects you agree with? Strickler: We’re proud to promote an environment that respects all beliefs and gives them a voice. In exchange, we try to preserve a tone that’s appropriate for a broad, general audience. In other words, you can raise money for an R-rated film on Kickstarter, but we just ask that you do it in a PG-13 kind of way.